Tell us about yourself. What is Osez Le Foulard? My name is Dk Ange. Ange means ‘angel‘ in English. I like to define myself as an African queen as a promoter of the beauty of African ladies. This is why I started everything around the head wrap. This is why I started the movement. And this is what it is all about. 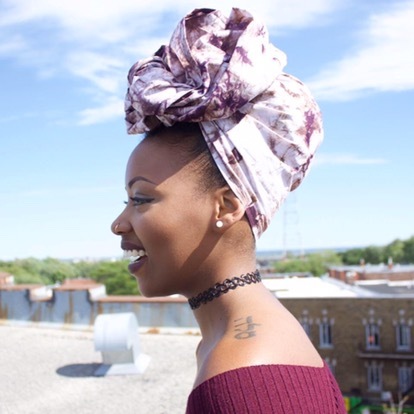 Osez Le Foulard means “Dare The Wrap” or “Rock The Head Wrap” in English. It’s actually a movement, a brand, and community that promotes the beauty and the essence of the African woman through the head wraps. 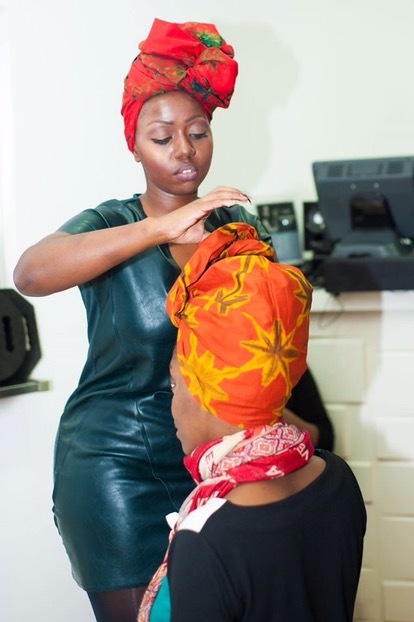 So, what I do basically is use the head wraps as a way to redefine the beauty and promote the beauty of African queens. Why did you start Osez Le Foulard? I grew up between Belgium and Kigali… and I had this feeling that since I went to school in the flamished part of Belgium that we were not represented. What I called ‘the beauty of Africa’ was not represented by the media. I lived in Europe, but when I looked around me, I didn’t feel like I mattered… I didn’t feel like I was represented. And this is why I started everything. This is why I wanted to have another vision of African beauty than what was already shown. 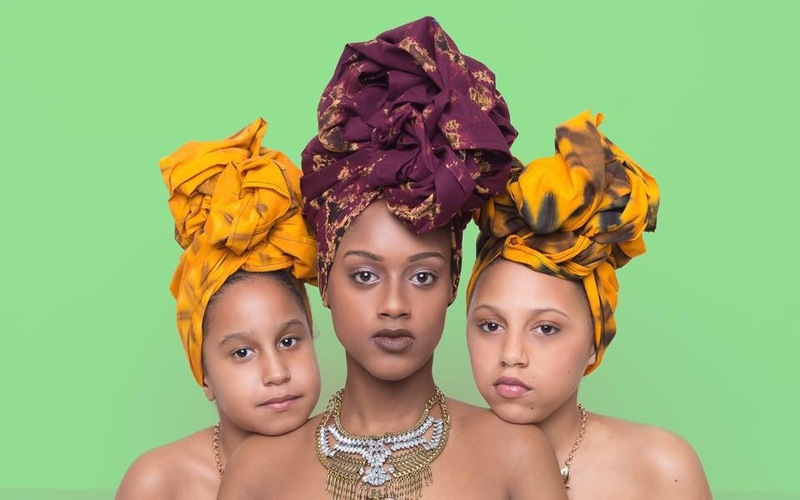 In your opinion, what makes head wraps special? I like to see my head wraps as crowns. My vision and the vision of the movement is that in every woman there is a queen hiding and a queen lying. What I do is reveal that queen by using my head wraps. Why is it special? 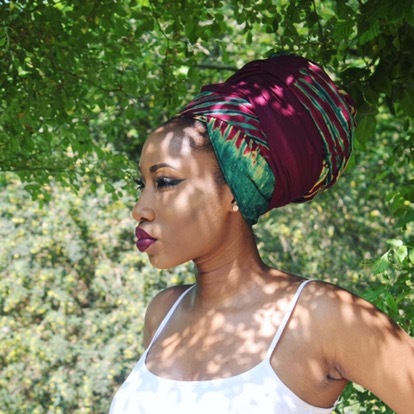 Because you look so majestic and like a goddess when you wear your head wrap. And I think that’s the magic part. It’s like a lifting… a face lifting like a transformation that’s making your true and natural beauty come out of you. 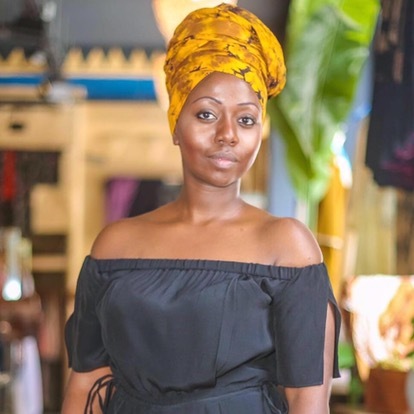 For someone that’s new to wearing head wraps, are there rules when choosing the right print and/or fabric? I don’t really know if there are rules. I see my work as art. In art, there are no rules. So use whatever you feel like using. Do whatever you feel like doing. 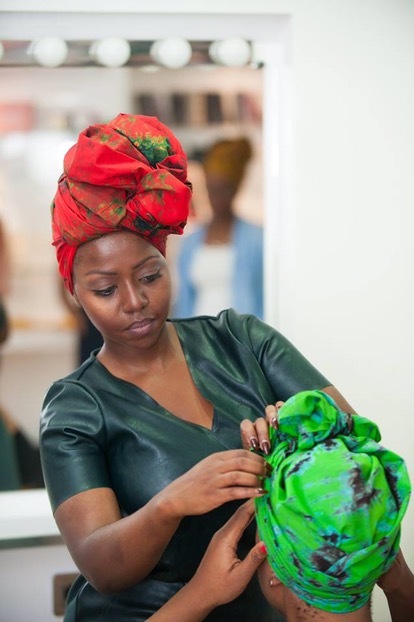 My fabrics… I chose to work with fabrics that are handmade in Africa so that I can promote the art and the beauty of my continent… the beauty of ‘my Africa’. Nowadays, a lot of wax fabrics we see are from Vlisco, from China, from wherever… but not mostly from Africa. Once I started working with wax, I was like, “How can you tell yourself that you are promoting the African woman and the beauty of the African woman by using fabric from China… from Holland and wherever?” It didn’t make any sense. So I looked for fabric that was coming from my continent. Not in my country… not in Rwanda because we are not able to make wax fabric. But the fabrics that I use are from Tanzania and they are called batik. 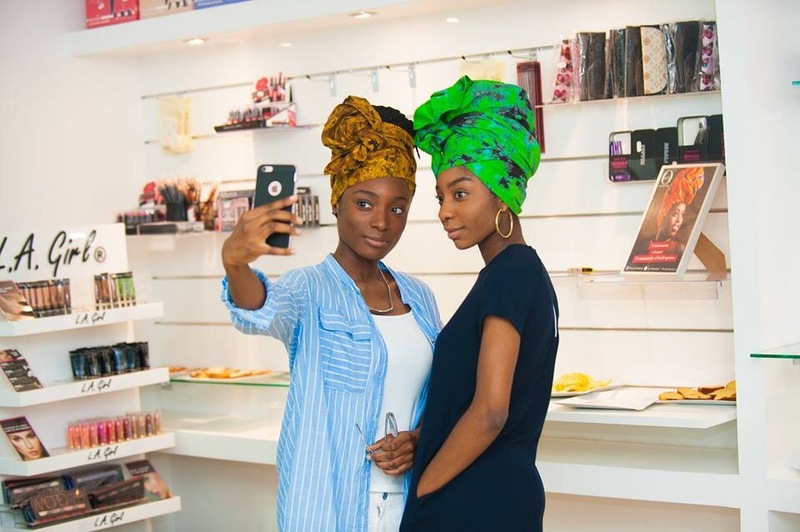 I would say that there are no rules to head wraps. I’m not that kind of person. You just have to be who you are. Pick one fabric and just start wrapping and wrapping until you feel like you’re a queen and you’re ready to slay like a queen. 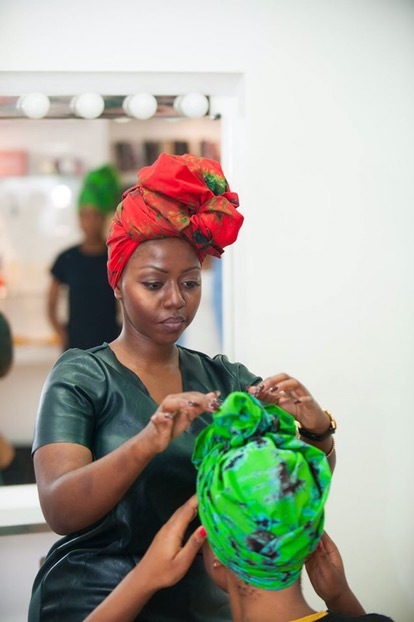 Do you make your own head wraps? If so, where do you find your inspiration when making them? If not, do you have any favorite vendors? I work with a local artist to make the head wraps. I choose to work with African fabrics made by Africans to promote Africa. It’s very important to me to grow this movement… to start making accessories. This is my way of giving back to this continent that has given me a lot and made me the person I am today. 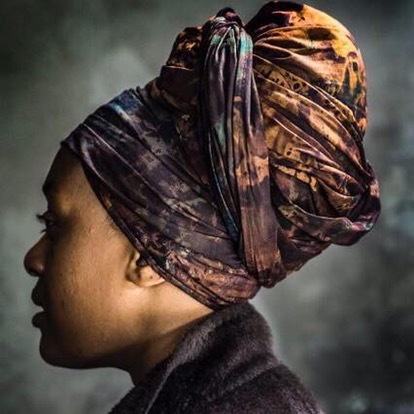 Some people wear head wraps because they consider it to be a fashion trend, while others wear it because they embrace its history. What is your stance? I started wearing head wraps because I decided about eight or ten years ago to group out. I’ve always been this person that didn’t want to look the same way as everyone. I have this rhythm. I just wanted to be me… like to be me and to feel special. I’ve always had those like ‘weird’ or what society calls ‘weird’ haircuts. When shaped my hair, sometimes I wanted to change from the haircut. My hair was really short. I had like a boyish haircut and I started tying wraps around my head. First, I went to the internet on YouTube and watched some videos. And then, I just started creating the ways of wrapping. When I liked it, I just take the picture and do it about four times before teaching it at my workshops. On the days that I’m not wearing my head wraps, I feel like I’m the normal me. But once I put my head wrap on, it’s like, “Look at me. Mama Africa is out there. Queen Africa is out there. It’s about representing the continent where we come from. The beauty… the essence… the magic side of Africa. Our continent is so unique, there are no words to describe it. And the reason I do all of this is because of my love for Africa. I truly believe that I am in love with my continent. 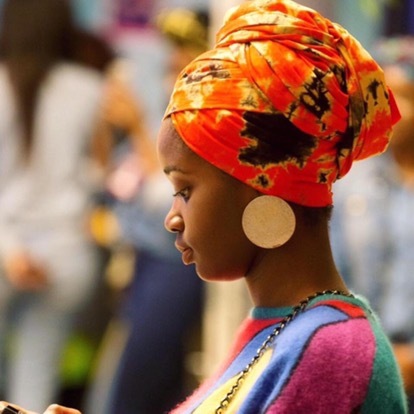 Wearing head wraps is a way for me to embrace my culture… to promote my culture… to promote my continent. Also, to teach younger girls about the history, culture and our way of doing things. If we are not promoting our own art, no one else will do it in our place. They would rather just take it and copy it, but they will not promote it. We are Africans. We need African people to promote their own things. Two years ago, you hosted an event uniting women from Nigeria, the West Indies, Algeria, and Senegal. Our very own contributor, Claudia from Paris, was in attendance. Tell us a little more about yourself during this time. Two years ago, I decided to stop working. I used to be a community manager. I used social media (since I was good at it) to promote my art. 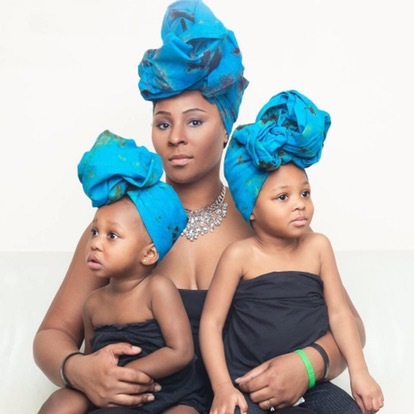 I decided to take that head wrap art as my way of giving back to my country… as my way of teaching the culture…. as my way of leaving a part of me in this world. 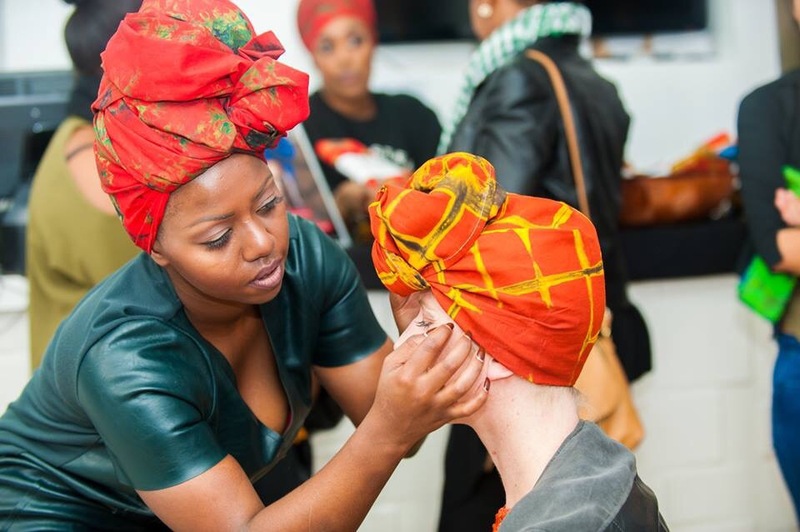 I would like to be remembered as the woman who took the head wrap to a symbol of ‘the African beauty’. This is why I’m working. This is what I’m working for. This is why I need to bring this to another level to reach more and more people. I usual organize one workshop a month in different countries and cities in Africa. I recently went to Montreal. I visit a lot of places, but I’m basically more in Europe between Belgium and Paris. I have people who come to learn how to wrap their head. They pay like $25 and they get a free head wrap and one hour of instruction. When I first started this, it was just something that I liked. Then, when I saw people embracing it and liking it, I decided to take it to another level. This is how I started using social media to start building my movement and my community. What’s next for you? Do you have any upcoming events? I am planning a small exhibition of ten women living here in Belgium. Last year, I did one in Rwanda. 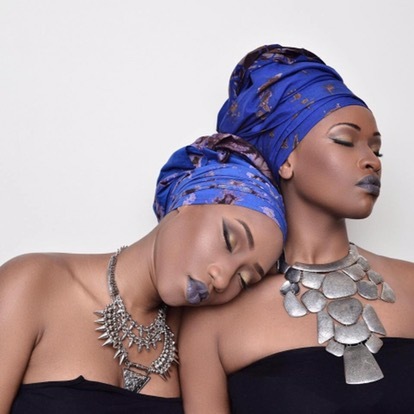 They use their own way to promote a better image… a better beauty of Africa. That’s exactly what I want to do with this project. I want small girls to know that they have role models. 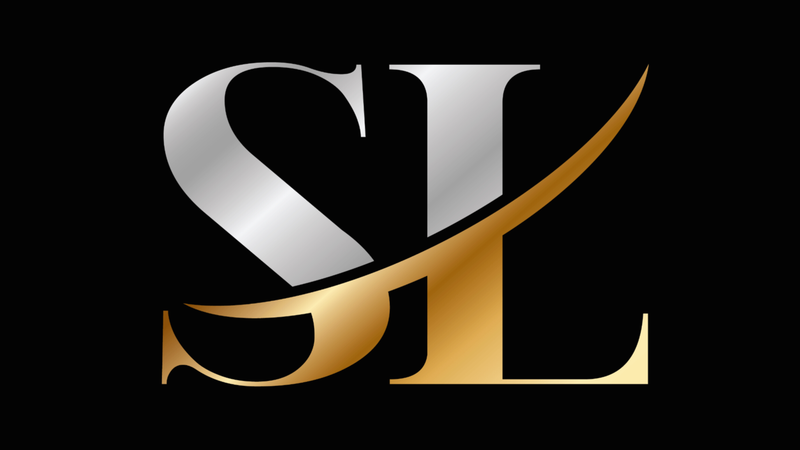 I want them to know that if they want to succeed and start a business like mine… maybe I can help them. Here in Belgium, I want to give to the younger generation African beauties and African women to look up to. I want to showcase the beauty and talents of ‘our Africa’.